A court in Sri Lanka on Monday suspended Mahinda Rajapakse's powers as prime minister and ruled his disputed cabinet could not govern the strife-torn island until it proved its legitimacy. 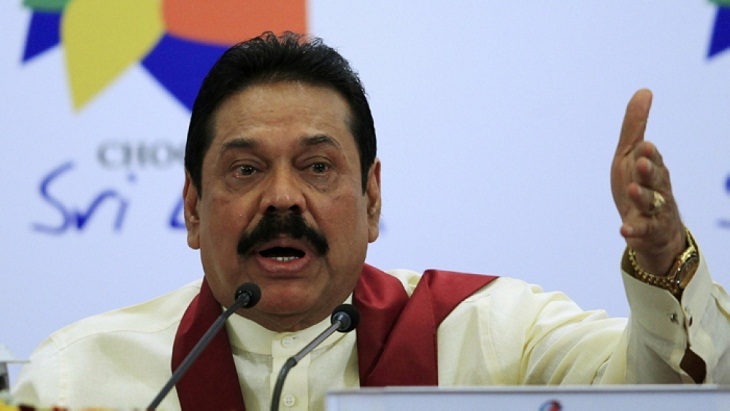 The decision casts further legal doubt over Rajapakse's claim to lead Sri Lanka, which has been in turmoil since his controversial appointment a month ago. Rajapakse, who was installed after the country's president sacked Ranil Wickremesinghe as prime minister on October 26, has twice been voted out by parliament but has refused to step down. There was no immediate comment from Rajapakse or his supporters. President Maithripala Sirisena has been under pressure to prove his appointee Rajapakse -- a divisive but charismatic strongman who twice ruled Sri Lanka -- commands support. Rajapakse has ignored parliament and doubled down, naming a cabinet and assuming duties at the helm of a disputed government even as his rivals frustrate his attempt to govern. Their position "was that Rajapakse had no legitimacy after losing two no-confidence motions," lawyer and legislator M. A. Sumanthiran told reporters after the decision. Until then, it agreed that "irreparable or irremediable damage" could be done to Sri Lanka if Rajapakse was allowed to remain as head of government, said court chairman Padman Surasena. Wickremesinghe -- who was unceremoniously dumped by his former ally Sirisena in a late-night power swap -- says his sacking was illegal, and parliament supports his stake to lead the country. The ousted prime minister last week gained the backing of a powerful group of Tamil lawmakers who hold the balance of power -- cementing his parliament majority. The two rivals had been neck and neck trying to cobble together enough backing, negotiating with key legislators and trying to lure across defectors. After Rajapakse lost his first no-trust vote on November 14, the speaker declared that the country was left without a government. Wickremesinghe's party described Rajapakse as an usurper. Parliament last week voted to block Rajapakse's "rogue government" from spending any money, meaning he cannot finance his administration or present a budget for 2019. The Supreme Court this week is also expected to rule on whether Sirisena's decision to dissolve parliament in November was constitutional. The court intervened and restored parliament in November when Sirisena -- seeking to stave off a challenge to his new appointee -- suspended the legislature.